In nine (9) days we will be on the white, sandy beaches of Punta Cana, Dominican Republic. 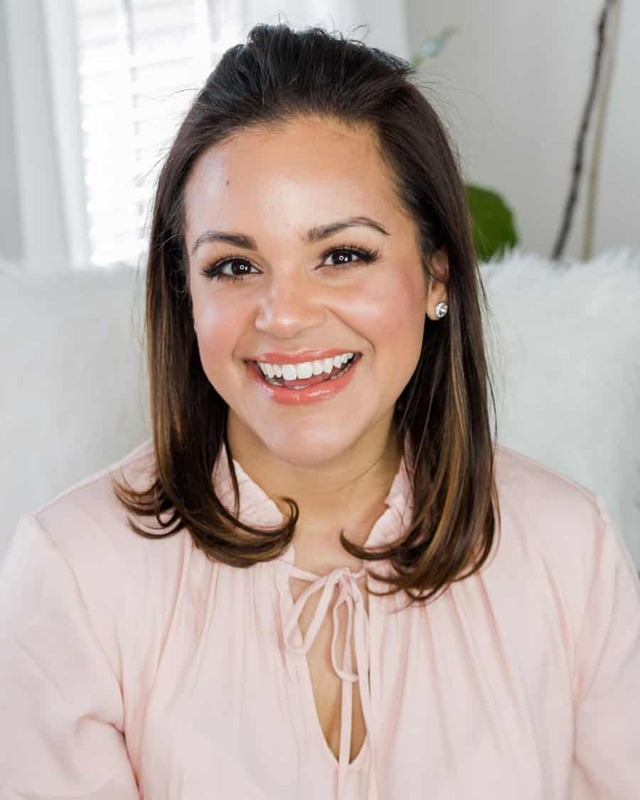 If you’re a new reader, my family hails from the Dominican Republic, which is what is responsible for my year-round tan. Sorry, I can’t help it! But at least you don’t have to worry about getting a farmer’s tan in five minutes while walking your dogs. The grass is always greener on the other side, isn’t it? While Punta Cana is a popular getaway for people all over the world, I’ve only had the opportunity of going once. This was before I met Brian, and with his stressful job, we are so looking forward to some R&R next week! In the past few days I did a lot of online shopping for outfits and swimsuits. Let’s just say that the mail lady will be my favorite person every day until our vacation! 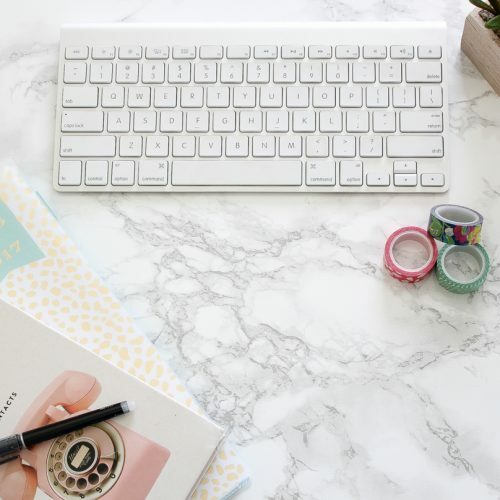 But you know what makes online shopping and planning a Caribbean vacation even better? 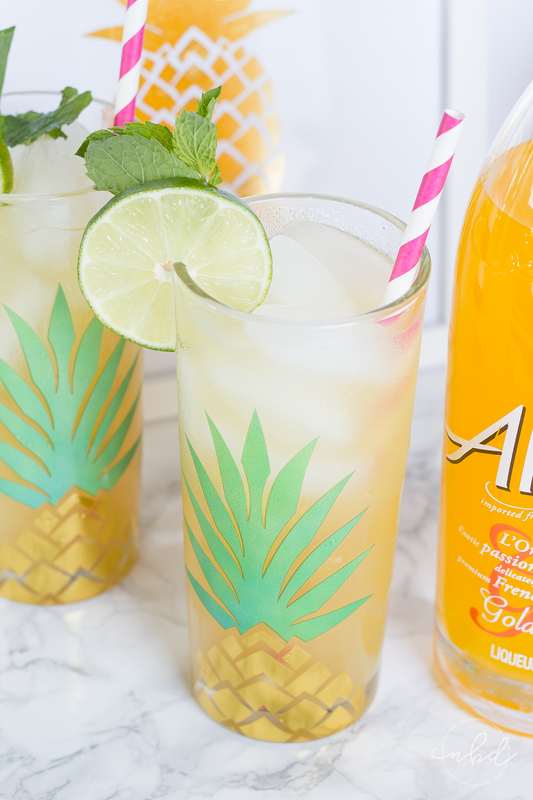 Pineapple cocktails! On my last vacation in the Dominican Republic I drank lots of tropical drinks. Most of them were piña coladas. Pineapples make me instantly happy. I mean, what’s there not to love about pineapples? They’re pretty to look at and they’re pretty sweet, too. In my excitement about our upcoming Caribbean vacation, I got a craving for a pineapple-based cocktail. 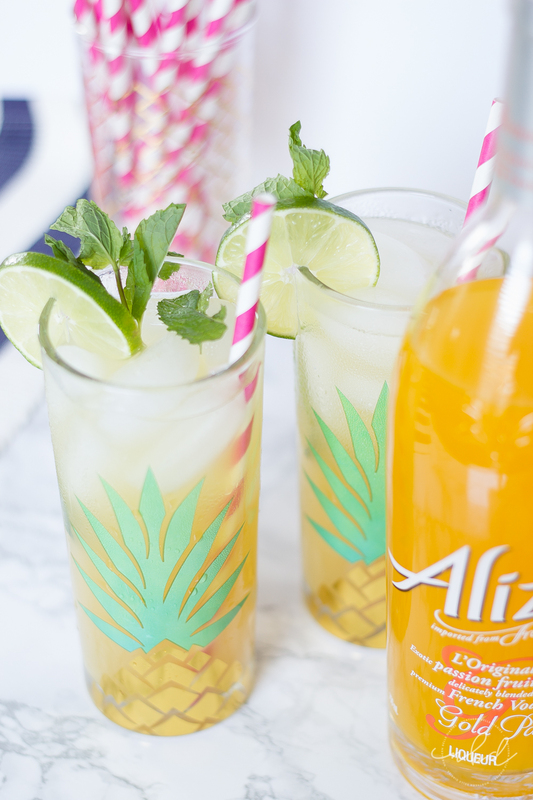 The perfect solution to that craving was a liquor that already had a tropical ingredient in it: Alizé Gold. Its premium French vodka and passion fruit juice set the stage for the perfect cocktail. 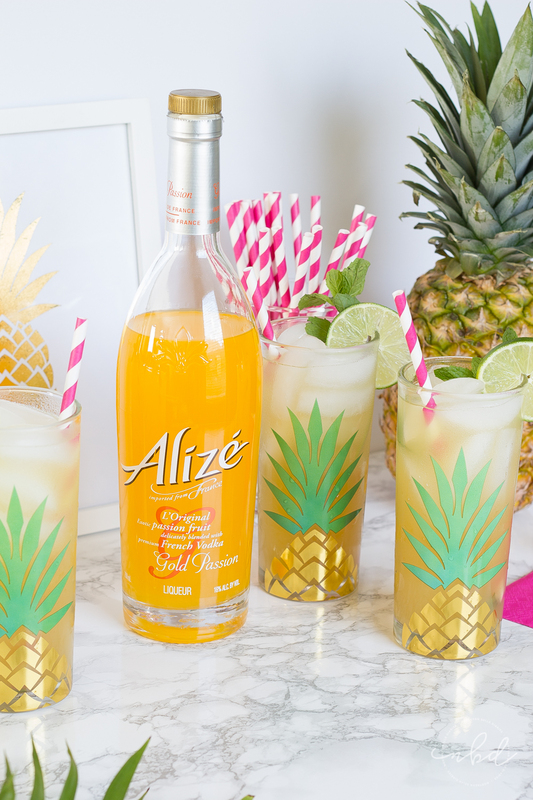 Passion fruit and pineapple scream tropical vacation so I knew Alizé was the perfect go-to cocktail ingredient. 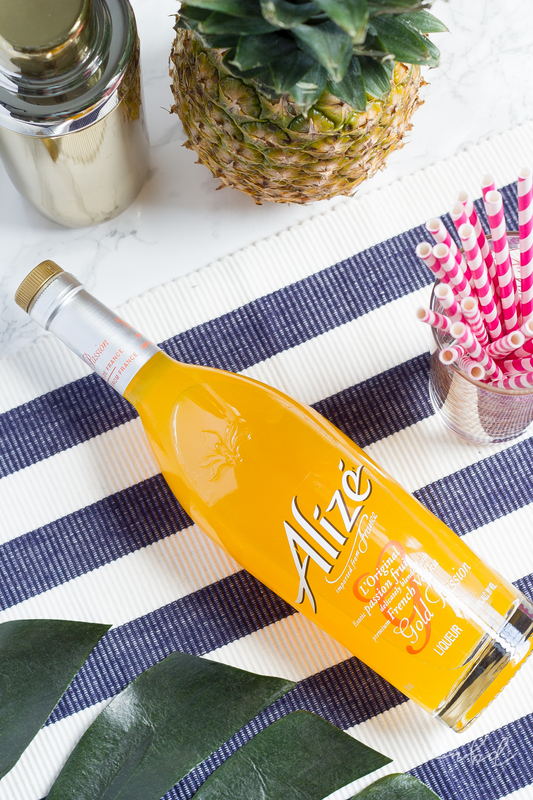 Alizé is made to just twist, pour over ice and serve or mixed in refreshingly bright cocktails. Now that is the pine to my apple! 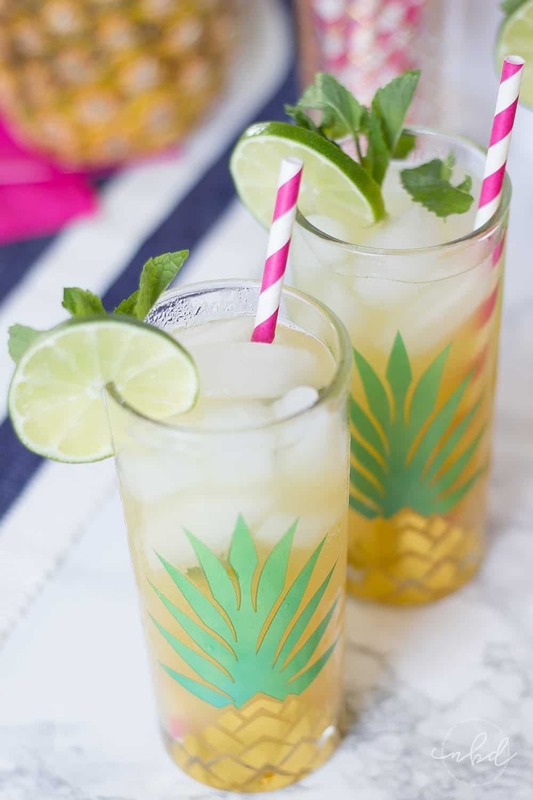 When I found these darling pineapple highball glasses I knew they were the perfect glasses for my cocktail. And the pink striped straws? 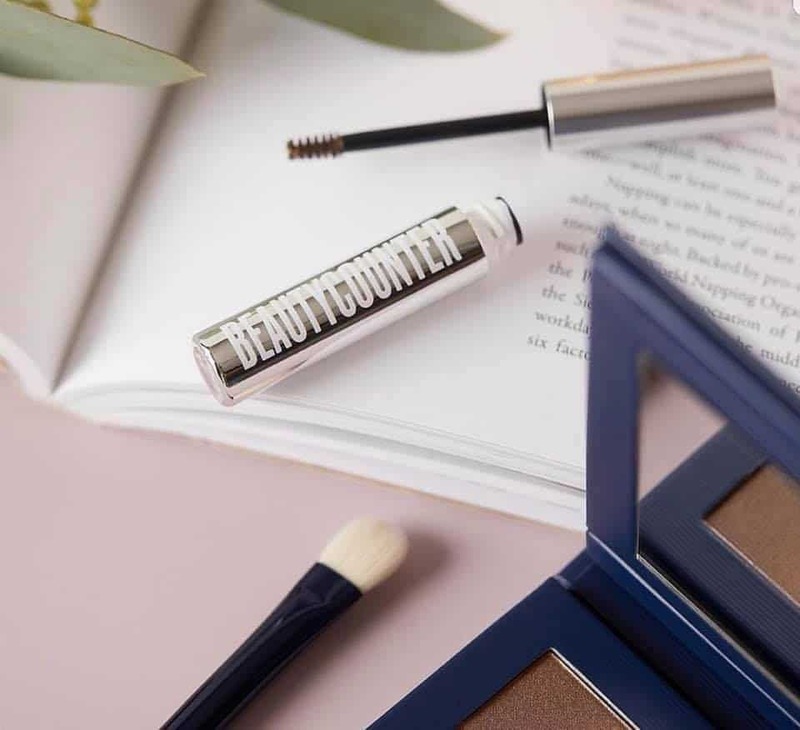 Well, give me all the heart-eyed emojis. 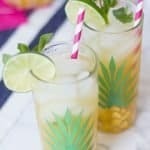 What are the ingredients for the perfect tropical cocktail? Besides the sweet fruits, of course? Lime and mint. Lime provides the perfect complementary tartness to the sweet fruit juices, and mint provides the unexpected twist to marry all the flavors together. 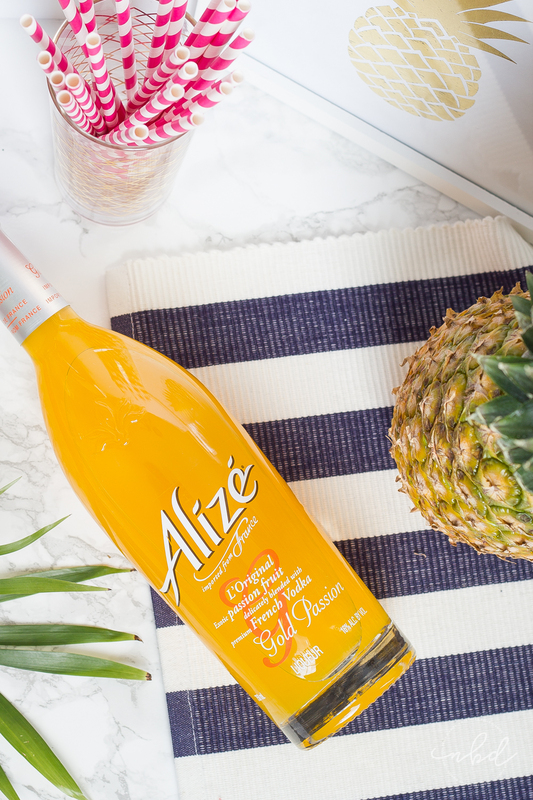 Alizé Gold is the cherry on the top in this formula, in my honest opinion. 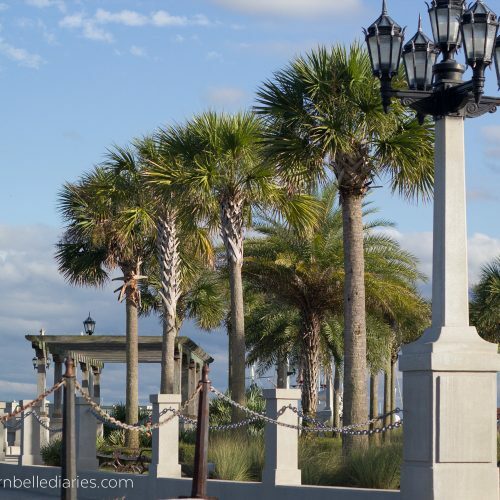 So, pull up a chair, kick back and relax. 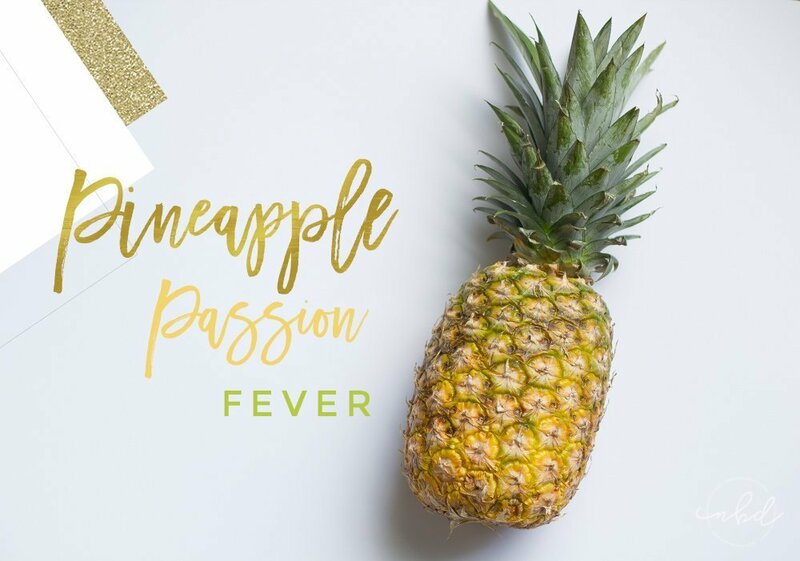 Enjoy a few Gold Pineapple Passion Fever cocktails on me, and pretty soon you’ll feel the warm Caribbean breeze to wash your worries away. Lightly muddle 5-6 mint leaves in a highball glass. 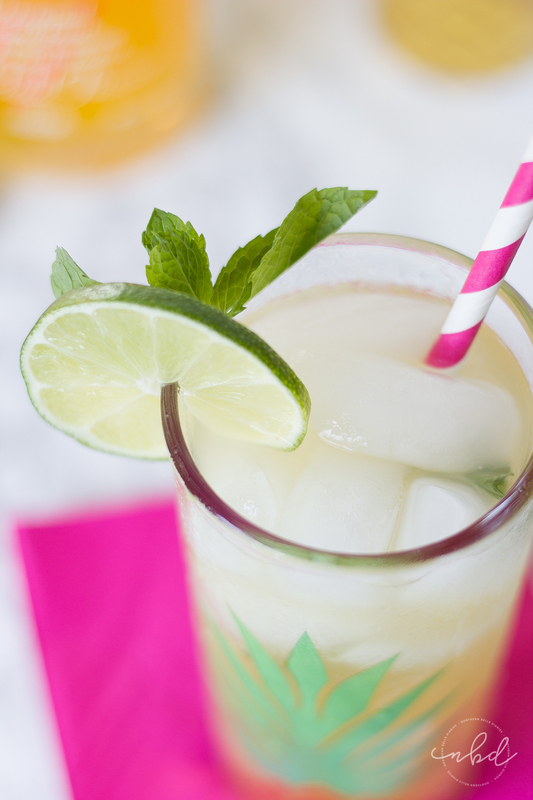 Squeeze lime juice over mint leaves. 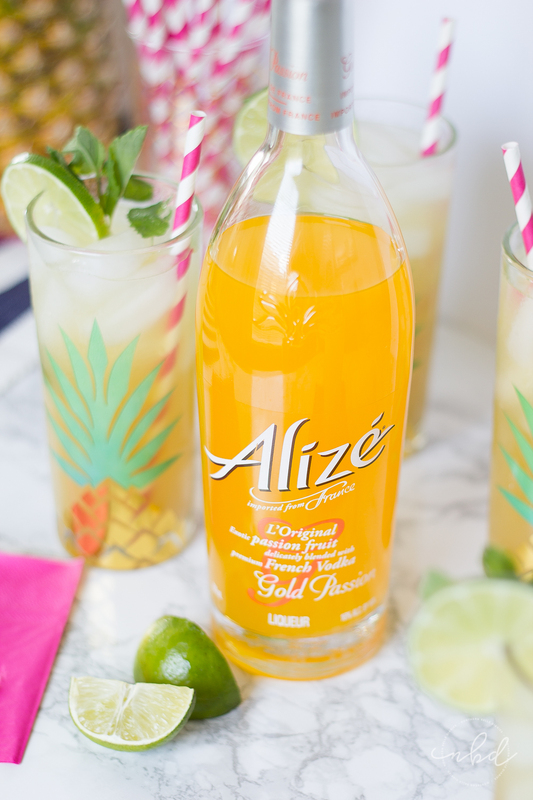 Mix Alizé Gold with pineapple and passion fruit juices in a cocktail shaker. Pour into highball. Pour sparkling champagne into highball glass. Lightly stir all ingredients together in the highball glass with a long spoon. Garnish with fresh lime wheels and fresh pineapple chunks with a toothpick on the edge of the highball glass (optional). Seriously this made my mouth water. Thanks for the idea! I’m IN LOVE with your pineapple glasses! Where, or where, did you find them?? 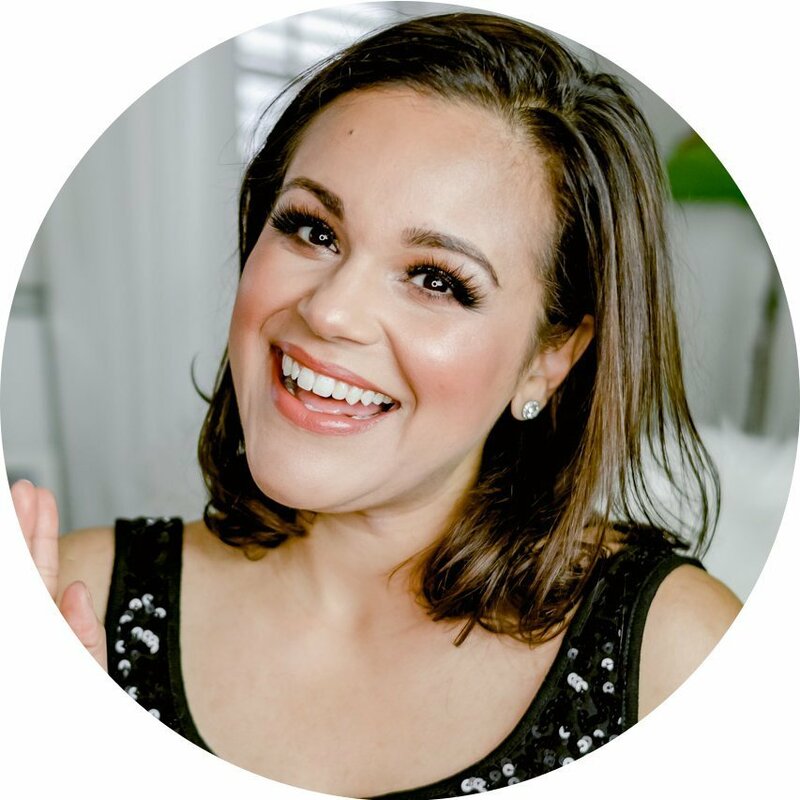 I bet you loved Punta Canta. I was there 2 years ago this month! I had never imagined myself preparing such a yummy pineapple cocktail. So creative with the fruit. 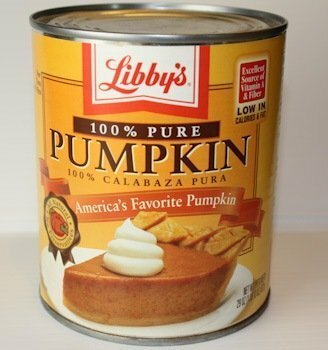 Thanks to your wonderful recipe, my family went crazy over it.